Aww, I feel your sadness for the loss of those trees, like dear friends. I love your close observation of nature in and around them… they appreciated, and you have your poems and other writings to prove it. Thank you for the poem, Buffy. 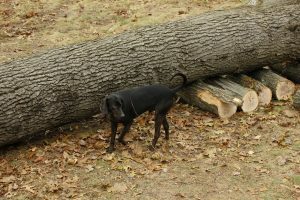 We’ve lost many beautiful trees over the years. It’s always sad. 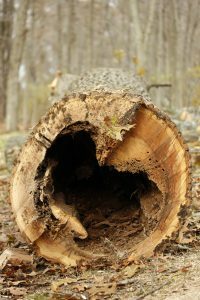 Lovely poem–I feel the same way when an old tree must come down (like the two in our front yard that we would like to remove before they possibly remove part of our roof), but my forester husband reminds me that the forest will rebound and grow even stronger even when trees are cut. My head knows it, but my heart thinks of trees (at least some of them) as old friends. Lovely poem Buffy. If you have a scrap of that cherry wood, I’d like to try to make something for you out of it. Doesn’t mean I can, but I’d like to try. Dang, Kate. I thought about saving a few logs, and then thought we wouldn’t do anything with them. 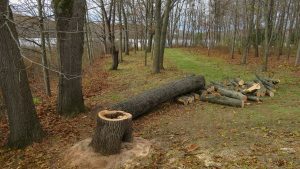 The guy who took down the trees found a local person who splits the wood and donates it. I grew up on the prairie, but my home had beautiful trees around it. Now I can hardly live without trees, so I appreciate your feelings. Thanks for this lovely poem, and perhaps you can take some comfort in knowing that others feel the same. Thanks Karen. 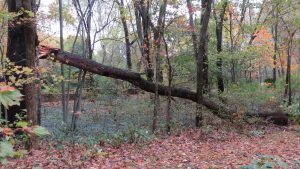 We still have lots of trees around–and I’m guessing the two other large oaks that grew with the one that was taken down will soon fill in the opening. But it does still astonish me to look out and not see that one. Awwwwwwwwwww, that sweet ole tree. I’m sorry it had to come down. We see trees in their beautiful robes and naked as your poem describes. 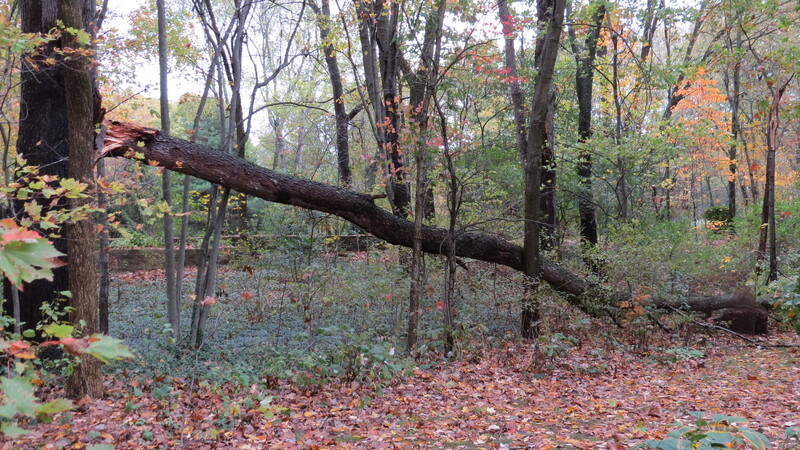 I would love to know what this tree’s response is to leaving you now after twenty years. It’s such a conversation we have with trees….isn’t it? I’m so glad you caught the beauty of this. The poem is perfect for this month’s challenge. Thanks Linda. I think the cherry was at the end of its life and would have come down on its own. But the oak? Maybe would have stood another 50 years–or maybe would have fallen on our house in a big wind. Beautiful melancholic tribute to your old Cherry tree Buffy, so sorry that the end has come for her. I’m glad you have many fond memories of the critters that she sustained. (I think the cherry was a she.) Perhaps more poems will still flow from your memories. I feel a very strong connection with trees myself. Thanks for sharing your poem! And thank you for stopping by and reading, Michelle. Oh Buffy, such a pretty tree and ode to it. I love your talking about it through the year. I didn’t know that cherry trees could grow to such an age. 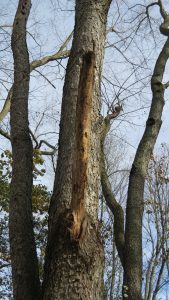 I have an old cottonwood that was part of the reason I bought my home now and I have it checked and cared for every year hoping it will continue to be strong. Thanks for sharing about the one you lost also. Did you keep some of the wood for creating something from it? Gorgeous poem, Buffy. Your love for this tree and the animals who have inhabited it over the years comes across loud and clear. And now you’ve given this tree life after death so it truly can endure! Thanks, Michelle for your suggestions on this one. And for reminding me to add it to your padlet! I really enjoyed Hidden Life of Trees too–will have to look for Wishtree. Thanks for stopping by, Irene! I just finished listening to THE HIDDEN LIFE OF TREES (for the second time). 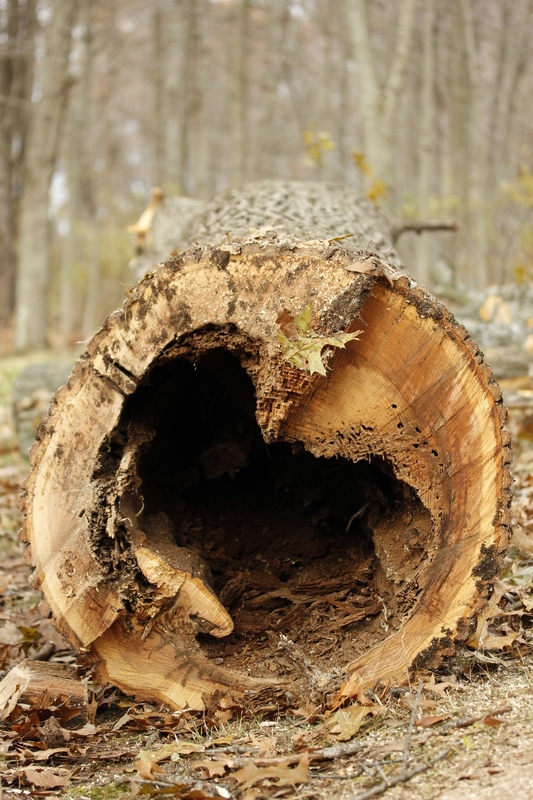 Your poem, like Wohlleben’s book, helps us, with our animal perspective, to understand the long slow life of a tree. I’m guessing that book was in my subconscious while I wrote this poem. I certainly thought about it when we were deciding to take the trees down. Especially with the red oak, because it was growing with two other huge red oaks (which were not hollowed out, and not yet leaning over the roof.) I wonder what’s being communicated underground between their enmeshed roots. Sorry to hear about the loss of your trees, Buffy. Your salute to the cherry is lovely, though. Thank you Sally–and thanks for stopping by to read!